One of kdrama fans favorite hallyu actors was cast in his first romantic drama since his rise to fame. Despite the initial hype around the drama, it failed to live up to the expectations of many fans who ended up dropping it mid-way because of its format. But why did that happen? And should you watch it? 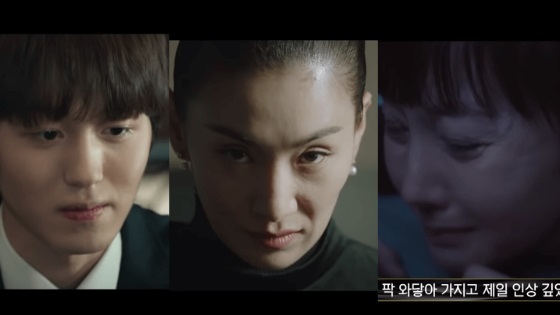 In this spoiler-free review, I’ll go over the drama elements and help you figure out whether you should watch it or not. I think this is where the biggest issue lies, to some the story was heartwarming to others it was boring, and with all honesty, I don’t blame either sides because they both make sense. It tells the story of a woman in her mid-thirties (Kang Dan Yi, played by Lee Na Young) who wants to work after a long career break, she took to take care of her daughter and husband. She is friends with Cha Eun Ho (played by Lee Jong Suk) since they were children. Throughout the course of the drama, they develop from friends to lovers. Let’s talk about the writer of this drama Jung Hyun Jung. Writer Jung Hyun Jung also wrote “I Need Romance 1, 2 & 3.” What I like about her scripts is how beautiful and easy to quote they are, she is philosophical. This means that she writes beautifully, the characters in her dramas always have interesting deep conversations. She also likes to focus on gender-related issues women face at work such as discrimination, stigma behind married/divorced/older unmarried women, etc. She does a good job balancing between serious and sweet. However, her scripts are unoriginal and she does little to try to change that and that can become an issue. 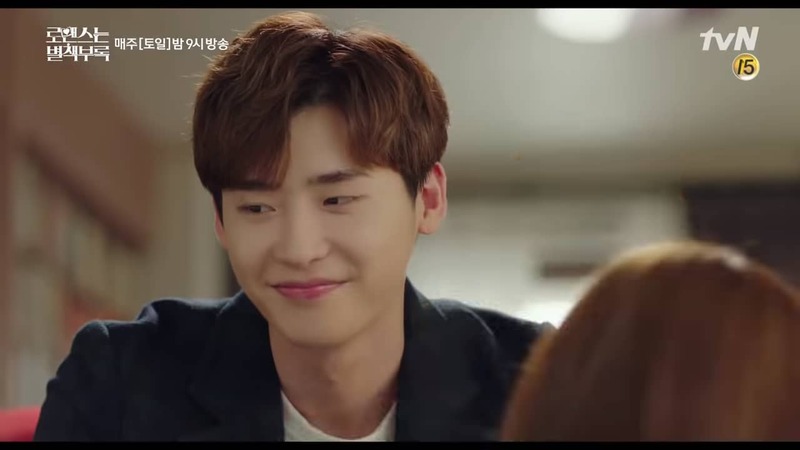 Lee Jong Suk fanbase is so used to him playing interesting roles with thriller plots so the fanbase wasn’t sure how to feel about this project. 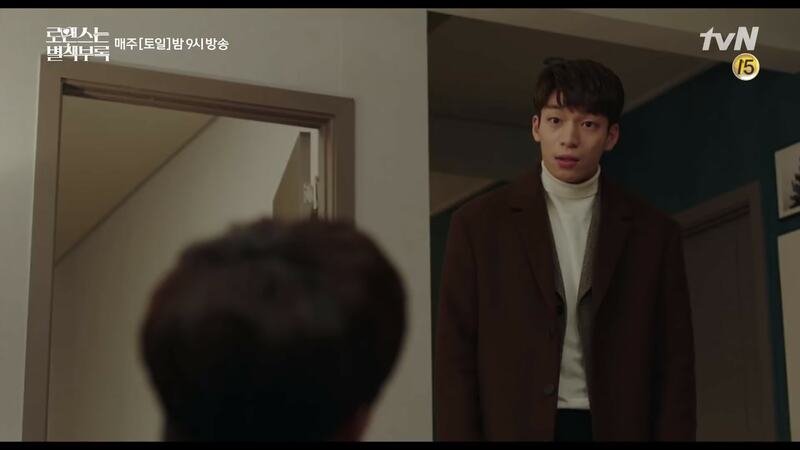 I have watched Writer Jung Hyun Jung “I Need Romance 3” and I liked it a lot, “Romance Is A Bonus Book” reminds me a lot of “I Need Romance 3,” the plot is very similar. 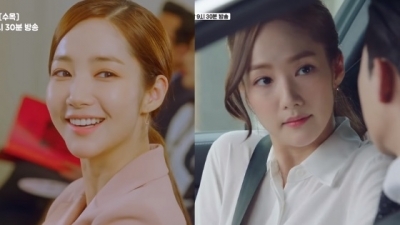 Writer Jung Hyun Jung borrows a lot from your stereotypical kdrama plots book, her scripts don’t surprise anyone. The story is heartwarming and beautiful, also insightful because the setting is at a publishing house which I found interesting, you understand how books are made, that was a sweet part. I liked the setting because I want to become a writer, however, I don’t expect everyone to love it because some just don’t like books and find them boring. The plot takes a while to develop, its more about average people going about their daily lives rather than a heroine with a goal to reach. This drama has no antagonist, it’s all about real people and real-life issues. It depends on your taste, how much of a fan are you of the actors/romantic dramas, and how patient you are. The plot doesn’t go anywhere special for the first episodes and through the middle gets draggy and is a bit underwhelming/rushed towards the end. There are parts that don’t make sense and parts that are mere tools to garner attention/sympathy for the main characters but the writer goes nowhere with them. A lot of people talked about Kang Dan Yi daughter and how she suddenly disappears even though she’s supposed to be an integral part of her mom’s life. I was bothered by that point specifically because it felt like a tool to draw sympathy, I think if she had utilized the young daughter it would be so much more interesting but it would also need a lot of work. In my opinion, with such a script a 12-episode drama would’ve been more than enough. She could have conveyed the idea she wanted to without unnecessarily dragging it because it had to be 16 episodes. There are a lot of fillers (scenes) that if subtracted really won’t affect the plot. I also need to mention that there is an excess of cheesy scenes that’ll make you say ‘awww’ or cringe. 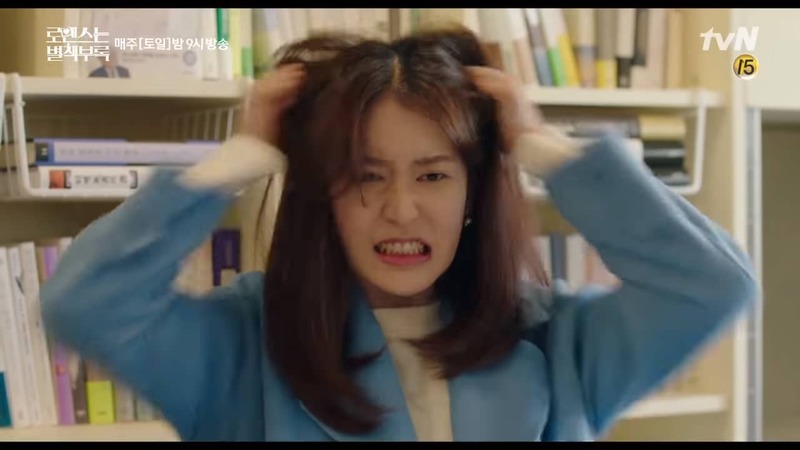 Sometimes I like how Writer Jung Hyun Jung forms her characters but sometimes I find them boring. It’s all about perspective again. There is no bad character or one particular person who tries to deliberately make things worse for someone unless it was for a valid reason. Sometimes they can feel boring especially if you’re looking for an intense drama. The writer also sometimes changes one of the main character traits to serve the plot to her advantage meaning that sometimes certain characters have a sudden change of mind in particular situations or happenings that given the character initial description feel forced/doesn’t make sense. Yet, I like how she tries to differentiate the characters despite giving them an initial similar/stereotypical description, she does well incorporating little details into each character that helps shape it to be real-life human beings. For example, the hot smart CEO/manager male, the sweet/hardworking female, the difficult boss, the clingy second female lead who is also accomplished, the clingy second male lead who is also accomplished. I liked the performances of everyone, they did the best to their abilities and that’s something I appreciate. There are no rookie actors and almost everyone is experienced and has been acting for a while if not 10, 20 or 30 years. The characters can feel under-developed and there are instances where they reach a dead end and there is only so much you could do with them (I.e. there is no more development) but they’re still sweet. This means that to some this might be off-putting to others it might draw them closer to the characters to the point that they develop an attachment to them. “Romance Is A Bonus Book” is calm and sweet. All of the actors blend well together. Lee Jong Suk is a huge fan of actress Lee Na Young but I liked that he was calm in front of her. 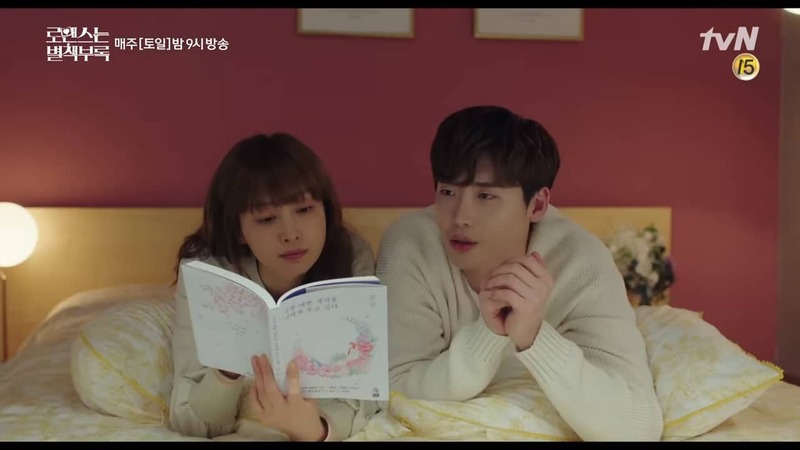 Lee Jong Suk has a sweet character, usually, when he acts opposite female leads it doesn’t feel awkward unless the female lead is intentionally trying to make things difficult for him, this is why he has good chemistry with everyone he’s paired with. Some say the main couple was the cutest, others argue the second couple was the cutest. Again, it depends on your taste. Regardless, the characters and the actors had such a cute relationship together and blended well. 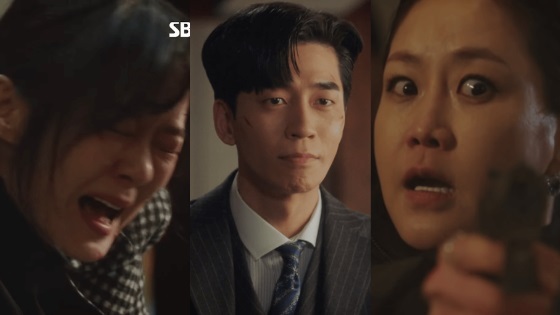 There were scenes in which they had to act as if they had known each other for so long and I know some Korean actors struggle with that aspect for a variety of reasons including respect for senior actors/elders which creates a barrier. “Romance Is A Bonus Book” has a calm aura to it, I found that soothing. It calms you down. There is also another cute thing, bromance, as always, because it’s a Lee Jong Suk drama. It’s a 50-50; a lot of people had mixed reactions to the drama. You’re an avid fan of Lee Jong Suk. Prefer slow-paced dramas that take time to play out. You like different action/thriller kdramas. You’re looking for something different. Its all about taste again, it can become boring but it’s still a nice experience and the kind of drama you watch to relax and unwind, it doesn’t drain your emotions. If you’re in need of a cheesy sweet soothing kdrama, I’d recommend this. If your life is currently full of drama, this is the type of drama you can watch to calm down. I don’t think it’s the best production Lee Jong Suk had ever been in but also not the worst. It is easily forgettable especially if you compare it to other kdramas that have a similar concept that aired around the same time. If you watch a lot of kdramas this won’t be easy for you, you probably won’t like it as much as you thought you would especially since you’ll start comparing it to other better-written kdramas you’ve seen.